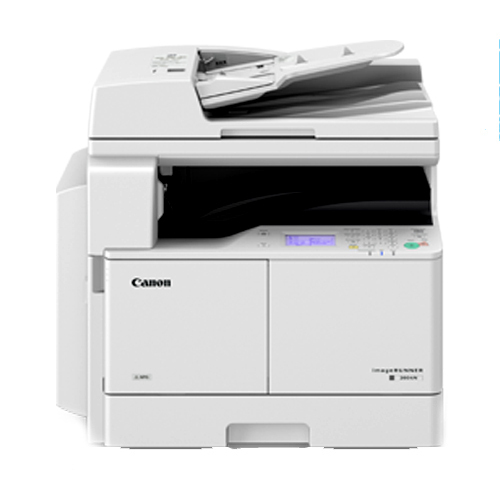 Photocopiers are an essential piece of equipment offices need on a daily basis. To print employee handouts, physical copies of the employee records, training material copies, there are a lot of things the copiers produce. Keeping track of the information like the number of copies required on an average, color Vs black/white output can help you pick an ideal photocopier for your office/home use. However, in case of money crunch or keeping things light in the initial phases of a start-up, or to meet the budgetary needs, we at VRS Technologies suggest seeking copier rental Dubai which can turn out to be an ideal solution for your situation. 1. Print Volume: Every photocopier, which is of late popularly available as a multi-functional device (MFD) with, scanning, printing, copying, and faxing functionalities has a pre-determined average monthly print volume (AMPV). You might not want to mess up with that. A photocopier set to print 20,000 copies per month cannot handle 50,000 copies. At the same time, an underuse of the photocopier also is not recommended where producing mere 5000 copies a month is only required with a photocopier that can produce 50,000 copies per month. The crux of the matter is under or over utilizing the photocopier can deteriorate the condition of the photocopier. In case of copier rental, you will unnecessarily pay more bucks if it is underused. Also, if the standard paper size for the photocopier is 8.5”x 11”, and any copy of larger size should be counted as two to determine the AMPV. 2. Difference between Duty Cycle and AMPV: Like the AMPV, the MFDs have a duty cycle as well. The duty cycle indicates the production capacity of the MFD. It essentially measures the number of copies an MFD can produce continuously allowing limited breaks for feeding the paper and clearing the paper jams etc. Hence, it is important to differentiate between the duty cycle and AMPV of the MFD to avoid confusion as the AMPV of a copier can be substantially lower can the duty cycle. 3. Focus on AMPV over speed: There are many faster MFDs which are capable of producing 45-55 pages per minute, but with an AMPV of 10,000 pages. While the speed might not be able to help you in any way, the productivity can make the difference. If you need more average monthly print volume for your business, it is better to choose a copier with higher AMPV over speed. Also, there are copiers designed to produce only A4 size paper prints. In case you need larger prints, it is ideal to talk to the copier rental company regarding your niche requirements. 4. Color prints: There are two varieties of standard color copiers available – light production and Business color. The light production MFDs do a precise job of color matching, collateral, high volume, specialty paper, advanced printing requirements which the business color MFDs do not perform. In case you are unsure about the ideal MFD for your specific requirement, it is highly recommended to talk to the technicians with the paper and job sample before making the decision. 5. Leasing Terms: Talking to the copier rental company regarding the leasing option can help you in clearing the confusion most of the times. Discuss regarding the buyout options, if the copier rental company is talking you into a capital lease or an operating lease and the monthly payment options in each of the case. Talk to our technicians at VRS Technologies to get more clarity on picking the right copier rental in Dubai for your business. Contact us at +971-55-5182748 or visit our website www.vrscomputers.com for more inputs.